I feel like I’m finally getting into the groove of shopping and planning here. By “here” I mean in this actual town, and with the current schedule and types of food that we’re eating, although that’s constantly changing, and the kids’ appetites keep increasing. 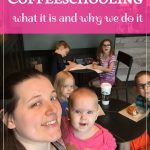 I can definitely see a summer project being figuring out more ways to save on groceries as we need larger amounts of things! We were out and about, and grabbed a couple things. 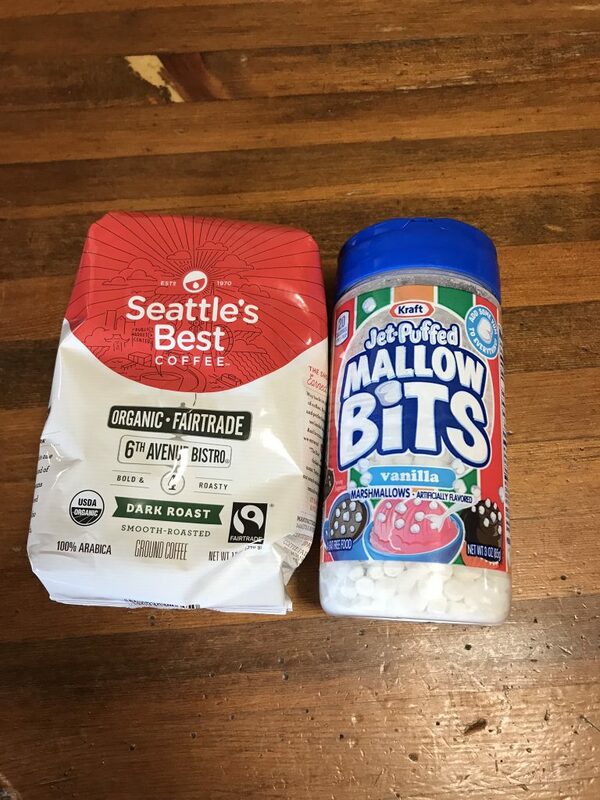 Jesse needed coffee for at the office, and I had been looking for the mini drink marshmallows but hadn’t found them at other stores. 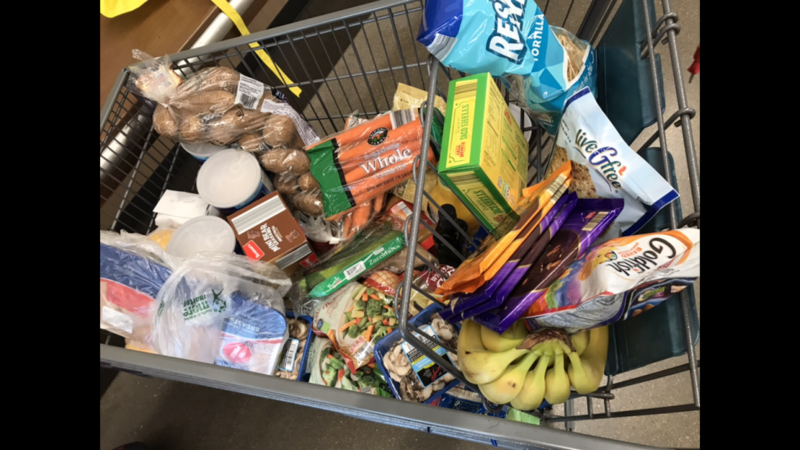 This was the big shopping for the first part of the month. And I managed to not have too many extras jump in the cart. Finishing the shopping for the first part of the month. This part always feels way more random because it’s mostly stuff that Aldi doesn’t have, so it’s a weird mixture of things. Fill in trip for the first part of the month. And I bought chocolate for myself, because I was basically out. Can’t run out of my emergency chocolate! I’m also making Instant Pot Veggie Loaded Chicken Soup (from the freezer) and Butternut Squash Soup with Chicken for Jesse’s lunches, and two batches of Chicken Enchilada Chili for the freezer. Big shopping trip for the first part of the month, part 1. I found half off stickers on chicken breast, but I knew I wouldn’t have time to deal with many before they went bad, so I only bought one. Because it wouldn’t be savings if I ended up throwing it away. Still, it was a good deal on what I needed for the week! 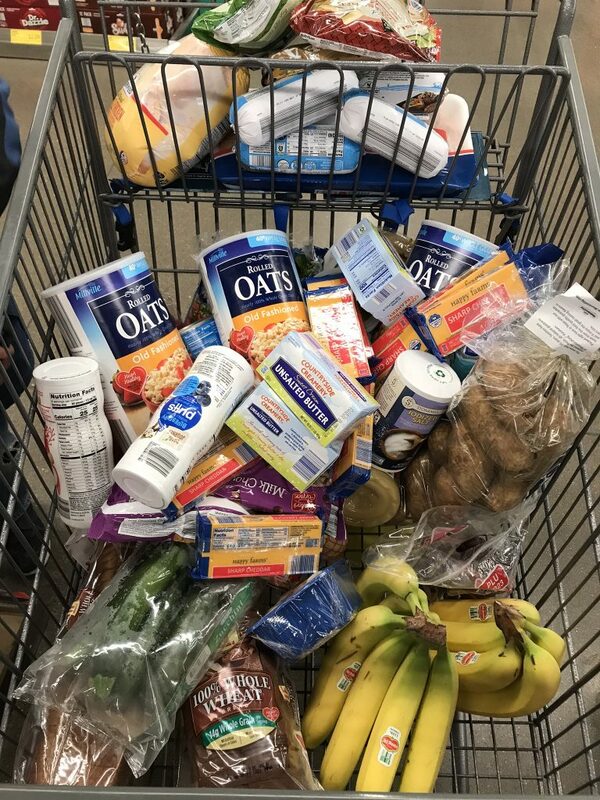 Finishing the big shopping for the second part of the month and getting WIC stuff. A few household items that were easier to buy online. 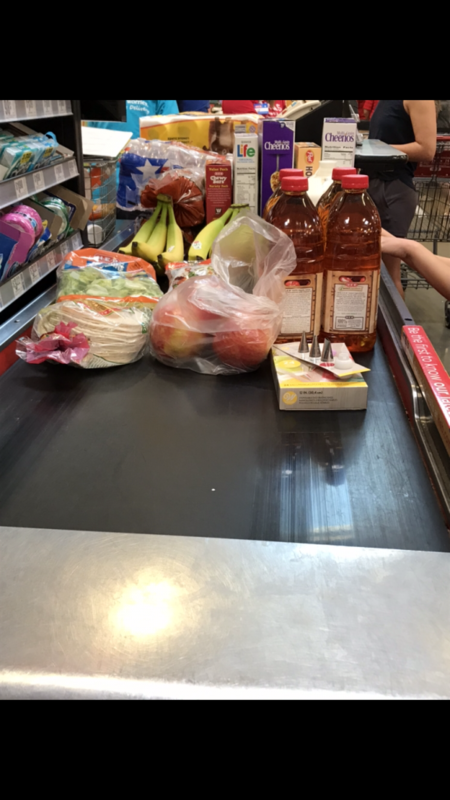 Just a few things for taco night, plus donuts for kids. 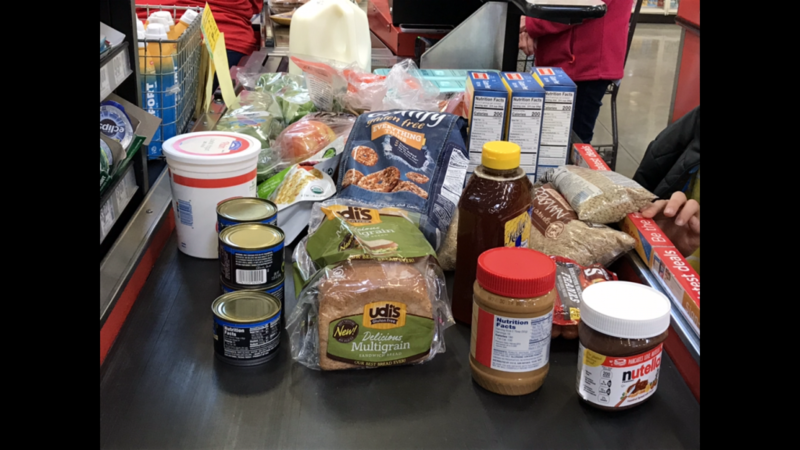 Picking up the last few things for the month, plus some WIC stuff we hadn’t grabbed yet. 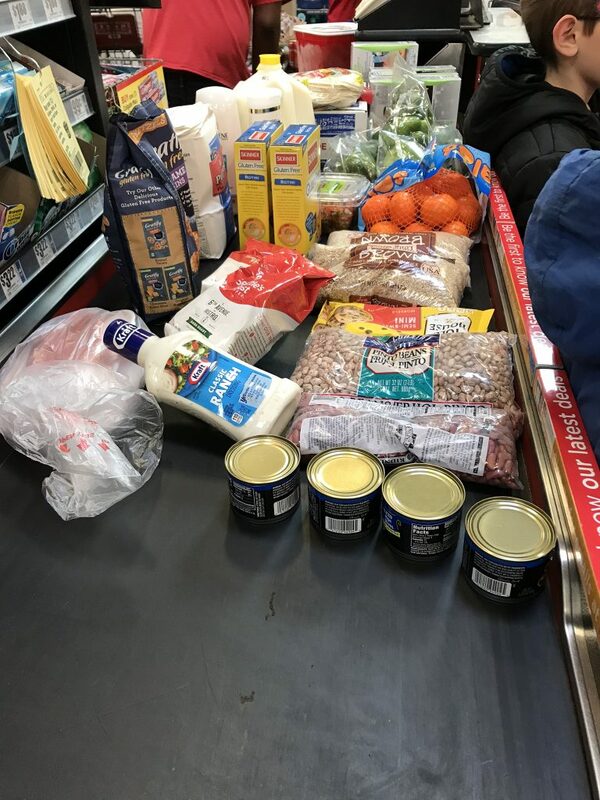 Several really good coupons printed out with my receipt, including $3/$30 purchase, $3/$3 in cheese, $2/$2 in milk, $3/$3 in ground beef, $2/$2 in soft drinks, and $3/$3 in coffee, plus another free Rx bar, so I’ll be using those next time! I also planned a double batch of Butternut Soup with Chicken (and added rice) for Jesse’s lunch, plus some Instant Pot Veggie Loaded Chicken Soup for the freezer. 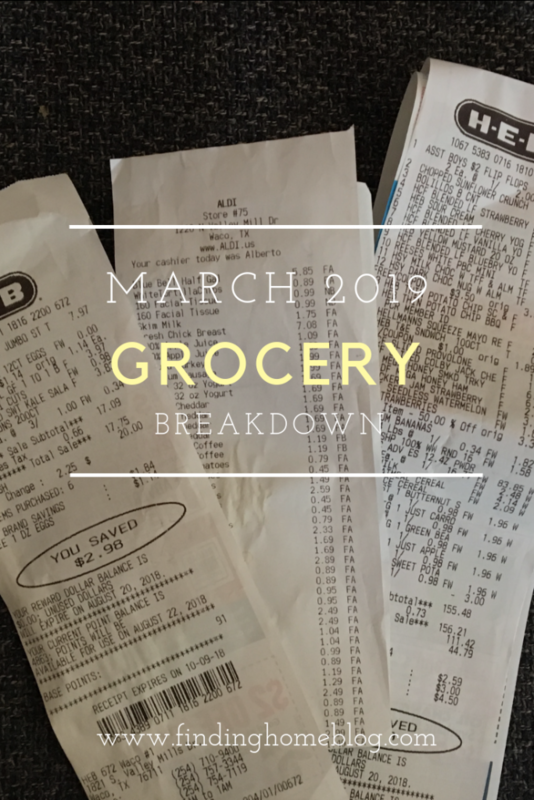 Overall, our grocery budget is in a pretty good place. Over the next few months I want to put our monthly spending so far this year in a spreadsheet and see how we’re doing (numbers nerd!). But I feel like less than $100/person per month is pretty good. Still, I’m always looking for ways we can save a little bit more. 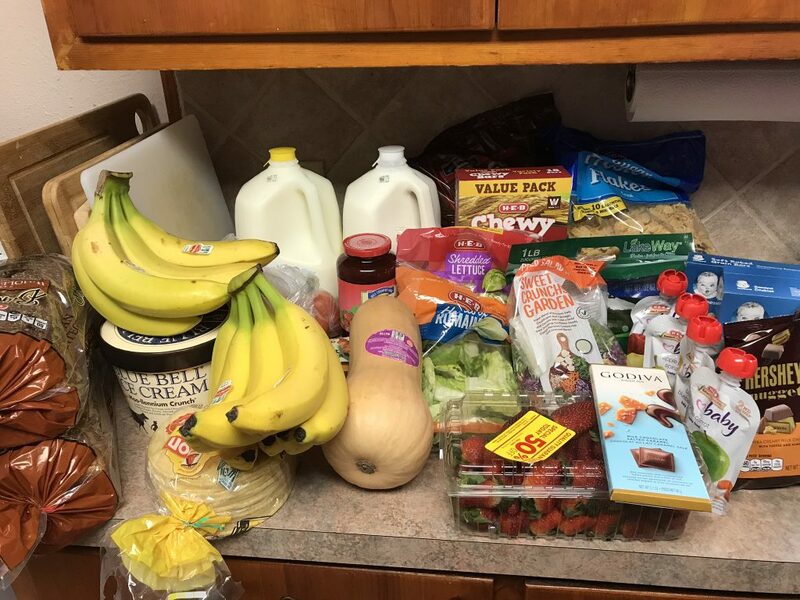 How’s your grocery budget doing this year?